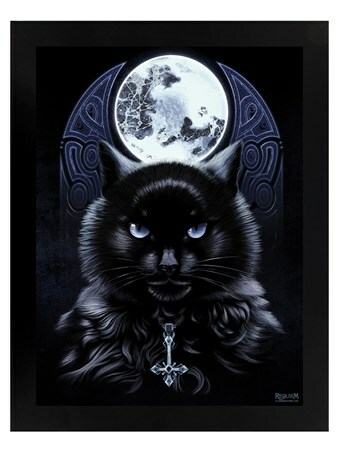 He is the God of hellfire and he brings you; FIRE! 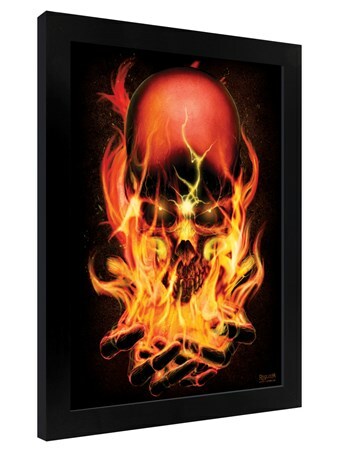 This amazing framed print from the Requiem Collective features a raging skeleton as it holds an inferno within his hands. 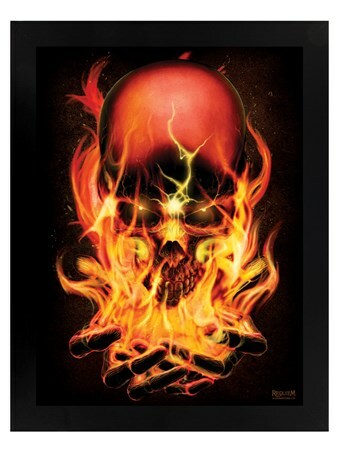 Turning his white bones into a glowing red furnace of heat, the flames engulf the enraged ghoul and seem to empower him. 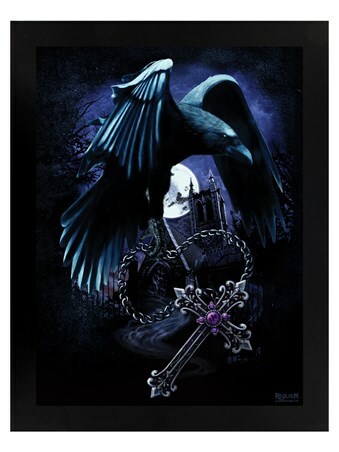 For all lovers of Gothic art, this incredible print will look stunning hanging on your wall. 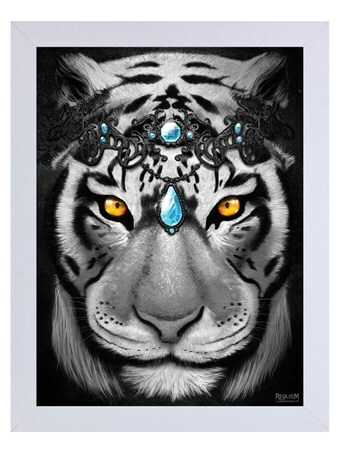 Complete with a 35cm x 45cm black wooden frame, fronted with transparent Perspex and ready to hang in your home. 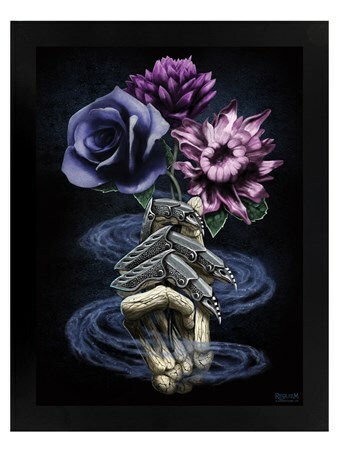 High quality, framed Hellfire, Requiem Collective framed mini poster with a bespoke frame by our custom framing service.